Talent risk management expert, Steve Trautman, offers three steps to getting Emergency Knowledge Transfer right on a tight deadline. This story begins with a CIO in full-blown panic. Luis, a chief software architect was the CIO’s go-to guy for feature development and product roadmapping at a global IT solutions company in Cleveland. He was the product’s architect, champion and shepherd. And, like so many experts in key roles, he held the product vision in his head, out of reach of colleagues. Luis loved his job and had no intention of leaving, so documentation and mentoring was routinely pushed aside in favor of development work. Then, all hell broke loose. A too-good-to-be-true offer from a Silicon Valley titan landed in Luis’ lap and he simply had to take it. Everything Luis knew about the product—past and future—had to be transferred out of his head and shared with key people on his team. And, there were only 41 available hours to make it all happen. Luis isn’t unique. Every organization has workers with specialized expertise who keep management up at night: the video game developer whose “secret sauce” is making games fun to play; the wunderkind who correctly forecasts the demand for printer sales in Europe; and the lipid scientist who’s done decades of research on long shelf life bread products. Companies are thrown into a tailspin when these linchpin experts announce their departure. With almost 10,000 baby-boomers retiring from their jobs every day, being left in the lurch by beloved experts is more of a reality than ever. Still, there’s no need to hit the panic button. Here are three-steps to getting Emergency Knowledge Transfer right on a tight deadline. Hiring a replacement for a multi-faceted, deeply experienced expert is often impossible. Even if you could find the perfect hire, it really isn’t a good idea to replicate your talent risk by moving all that wisdom to another individual who, like Luis, could leave at a moment’s notice. Selecting two or three apprentices from your team to learn different areas of expertise will spread valuable knowledge throughout the team and reduce the risk of losing yet another Luis. Step 2: Don’t even try to document everything your expert does, but do make a comprehensive list of tasks. Do you know what makes CIOs so nervous about losing their best people? No one in their organization really understand what their experts do, which means other workers can’t pick-up where the expert left off. The outgoing expert might be asked to “document their work” but that’s a fool’s errand on a good day, let alone when time is tight. Documenting everything is too hard and what does get written down is almost immediately out of date. When an expert announces their departure, the priority is to quickly build a complete picture of all the work she does, from when she arrives at the office in the morning to when she packs up at the end of the day. List every task including every meeting she leads, every relationship she manages and every problem she troubleshoots. Only when you’ve got a complete picture of your experts’ outputs can you know precisely what knowledge needs to be transferred to other staff before your expert punches out for the last time. What are the top three things that go wrong when someone is learning this skill? Who do you have to work with to get this done? How do you know if you’re in over your head? What are the rules you must follow and which ones can you ignore? One thing I love about using a skill development plan for knowledge transfer is that your expert will only transfer the good stuff. Without being selective about what you want your expert to transfer, experienced staff can pass ingrained bad habits onto others, especially when mentoring relationships are informal or ad hoc. Itemize the skills to be replicated by apprentice workers—right down to the most discrete tasks—and legacy bad habits will fall by the wayside. At the end of 30 days, when Luis closed his office door for the last time, his team was ready to take over his responsibilities. They were certain about what they knew and which gaps still needed to be addressed. I hope these steps will help you make the most of the precious hours you’ve got to get critical information out of your experts’ heads and hearts and into the hands of their colleagues. 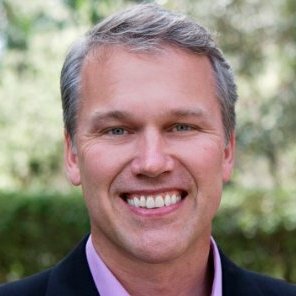 Steve Trautman is Principal and Founder of The Steve Trautman Company, a talent risk management and knowledge transfer consulting business launched in 1995. He is the author of three books, the most recent of which, Do You Have Who it Takes? introduces new terminology and innovative concepts in the field of Talent Risk Management. Trautman graduated from Seattle Pacific University and is based in the Seattle area.